“One of the biggest challenges regarding topics as Industry 4.0 and Internet of Things is staying agile and flexible. New market opportunities need to be found and assessed properly in order to keep up with the increasing speed of Information Technology- and Business Model-development. The cooperation with the master program Business Intelligence & Process Management and the collaboration with the project team resulted in highly valuable insights for Cassantec. A detailed in-depth analysis of the market environment was conducted and several strategic scenarios were developed. These scenarios provided new market opportunities to enhance the approach and position of Cassantec – including implementation ideas and strategies. 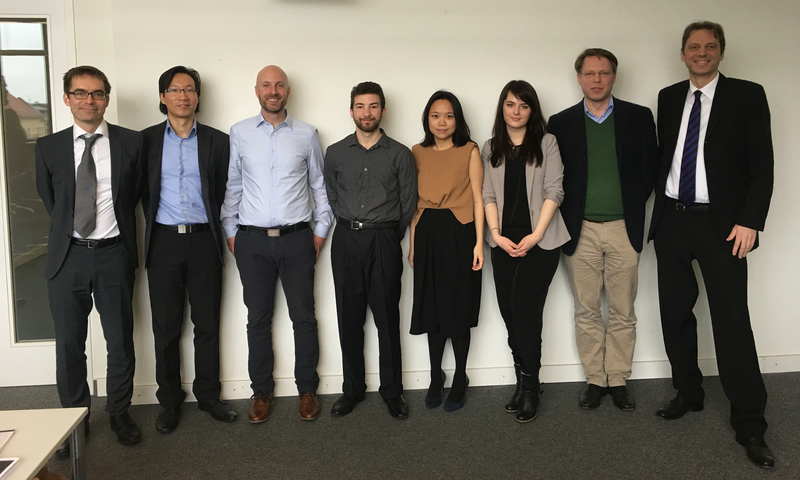 This project was conducted from October 2015 till March 2016 as part of the master program Business Intelligence & Process Management at the Berlin School of Economics and Law in cooperation with Cassantec GmbH. Supervisors were Prof. Dr. Sven Pohland and Prof. Dr. Roland M. Mueller. Cassantec is an independent provider of automated, high-end prognostic offerings for industrial asset management, malfunction risk analysis, remaining lifetime estimation, and optimal maintenance scheduling. Founded and incorporated in Switzerland in 2007, Cassantec is a privately owned company with strong ties to established players in the field of predictive maintenance, including condition monitoring technology owners and asset management software providers. The company is co-located in Zurich, Switzerland and Cleveland, Ohio, U.S.A., and recently opened a branch in Berlin, Germany. The international presence allows Cassantec to be close to their customers. Cassantec is promoted by the Swiss government’s CTI program, and collaborates with leading international research institutions, including Stanford University, RWTH in Aachen, Germany, and EPFL in Lausanne, Switzerland.